What Are the $INPLACE.~TR and $WINDOWS.~Q Folders and Can I Delete Them? 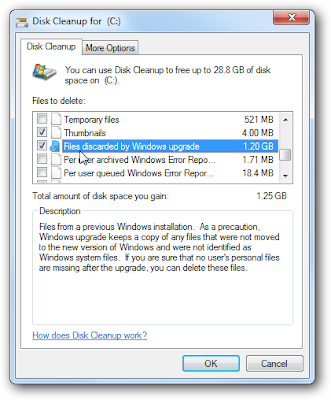 So you’ve upgraded from Vista to Windows 7 and you’re wondering what those new hidden folders are doing in the root of your system drive, wasting 1+ GB of space. 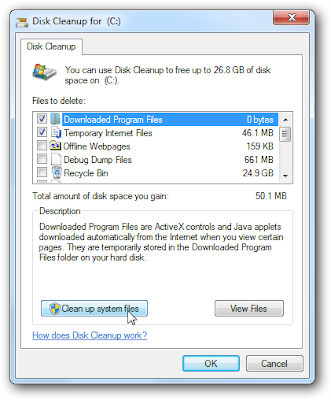 They are system protected, so should you really delete them? These two folders are leftover folders created by Windows during the upgrade process, but unfortunately they don’t get deleted at the end of the setup process. You’ll only see them if you’ve got the option to show hidden files enabled under Organize –> Folder and Search Options. The good news is that you can definitely get rid of them. Keep reading. The easiest way to remove them is to just run Disk Cleanup (type it into the start menu search box), and then click the button to “Clean up system files”, which will re-launch Disk Cleanup as administrator. Why is this the easiest way instead of the delete key? Because the folders are normally system protected, and you should also use Disk Cleanup regularly, so stop whining and get to it! Now that you’ve done that, find the option for “Files discarded by Windows upgrade” and make sure it’s checked, then click the OK button. 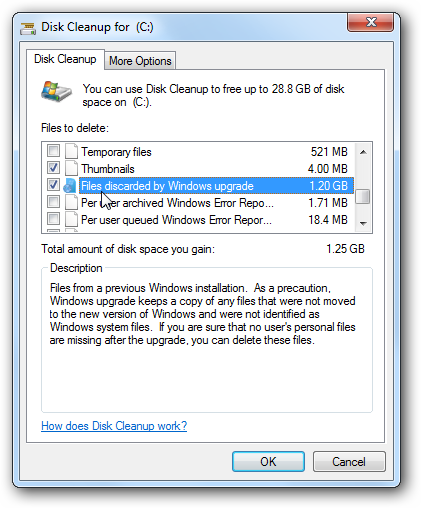 We’d recommend using Disk Cleanup on a regular basis, of course, and checking most of the rest of the boxes. Once you’re done, it’ll clean up the files. And now, those folders will be gone.